Some of our customers have been kind enough to write and let us know how they feel about us or our products. This is a small selection. I ordered on Sunday evening chose express delivery and it arrived on Tuesday. We are delighted with the chosen product and the speed in which we received it. Will definately use you again and certainly recommend you. Thank you. I am really thrilled with your website. I am visiting it after having bought your Around Manchester book. My family come from Salford and Manchester and I am ordering some photos from the book. Dear Andrea, many thanks to you and to Claire for all the trouble you have taken to put matters right for me and to find the best possible map for me to give as a gift. I cannot tell you how impressed I am to receive such kind and courteous service and I will certainly be glad to use your firm again in the future. I just wanted to email you and say 'thank you very much' for being so helpful with my last minute Warlingham picture order on Thursday 27th April. Although Francis Frith were not able to offer a Saturday delivery, I really appreciated your willingness to still take my order, while I arranged my own courier collection, and doing all you could to make it work. Even taking the trouble to ring to say you had yet to receive the parcel label from me, (which had been held up in the cloud). I can report that the picture was delivered to me Saturday morning and it looked really good. It was for a 70th birthday present of a family Friend. I wrapped it up and was then able to take it along on Sunday lunchtime for the celebration meal. The next day I received an email from our friend, thanking my Fiancee and me for a 'kind, thoughtful and interesting gift' and that they had 'spent a bit of time' (that day) 'checking out what buildings are still in the vicinity of the Green. Thank you Andrea, thank you team in the workshop for the quick turn around, and thank you Francis Frith. I came across your website quite by accident and wanted to contact you to thank you so much for such a wonderful site. Having spent the best part of an hour viewing old photos of places I used to live, I cannot tell you what an invaluable tool you have created. Long may you continue to keep our beautiful country's history alive! Thank you for allowing me to relive old memories, and to pass them on to my family, who are equally amazed and grateful. 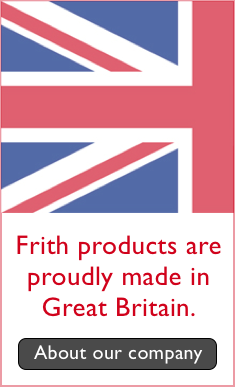 We love to hear your comments on our products, this website or anything else Francis Frith-related!